The M30 is the most versatile stitcher offered by DeLuxe Stitcher, the M30 satisfies the requirements of any size bindery house. There are two different versions are available, one has a sheet capacity of 2 sheets up to 7/8 inches whereas the other has a sheet capacity of 2 sheets up to1 ¼ inches. 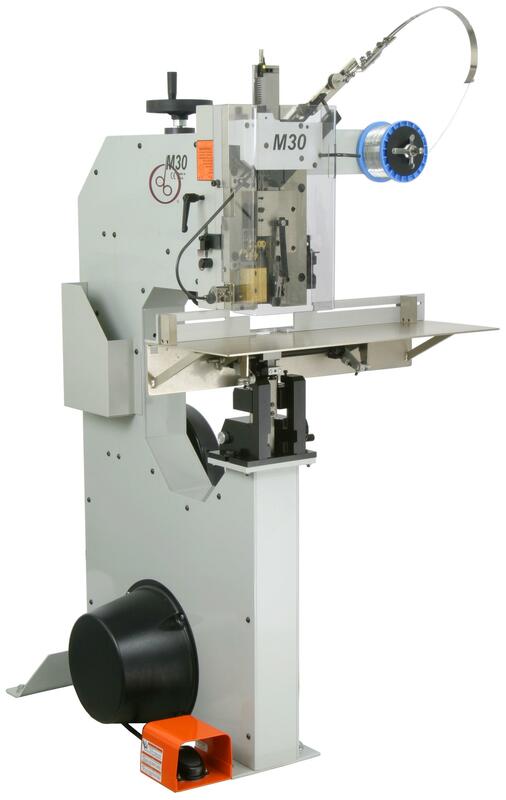 The throat depth of the M30 is 18 inches and can stich up to 180 stiches per minute. The M30 has the ability to run flat, saddle and corner-stitched jobs, and stab stitch and an optional kit for loop stitching is also available. If you have any questions or are interested in purchasing the DeLuxe M30-AST Stichers, visit us at SpiralBinding.com. We have great pricing on a full line of Saddle Stichers. Call us at 1-800-631-3572 for more information!